Global Bikes Bike Shop is the #1 Raleigh Bike Dealer in the state of Arizona. They provide all the new models of Raleigh, including road, mountain, cruiser, cyclocross and youth bikes. The Raleigh RXC Pro Disc uses every trick in the book to make you a cyclocross winner. You’re armed with Raleigh’s feathery and efficient carbon frame with a stiff PF30 bottom bracket and super-light ENVE carbon fork with a tapered steerer for an almost-unfair advantage off the line and around the cyclocross course. 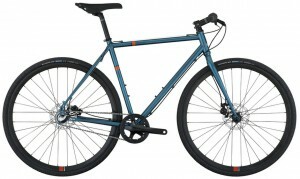 Raleigh makes it possible to keep the cyclist’s speed when on the corners and technical cyclocross sections, and you’ll save energy for the bell-lap attack. This cross dominator rolls on wide American Classic wheels with excellent Clement Crusade tires. And, you’ve got Shimano disc brakes that let you brake later into turns and handle the speed in all conditions, while Prologo keeps you hammering in comfort on their choice Nago Evo X8 saddle. No matter what the course throws at you, Raleigh puts Shimano’s Ultegra Di2 electronic shifter in allowing spot-on shifting. Cross racing is bar-to-bar brutality. Get a leg up on the competition with the Raleigh RXC Pro Disc. The Raleigh RX 2.0 is a versatile machine ready for cyclocross race action and/or mixing it up with traffic or out on the trails. With a heart of Raleigh’s 6061 butted aluminum and a vibration-damping carbon fork, the 2.0 makes short work of steep climbs, off-camber corners and even rush-hour traffic. Its precision-shifting Shimano 105 components keep you churning out the power on the fine FSA cranks. And when you’re cross-eyed with two laps to goon a cyclocross race or late for a meeting, you won’t have to worry about staying on track because Raleigh put the nimble Weinmann wheels, grippy Schwalbe tires and awesome Hayes mechanical-disc brakes. Other goodies include the quality Raleigh stem, bar, seatpost and seat. Let your creativity run wild aboard the Raleigh versatile Roper! Combine the sweet ride of a chromoly frameset with cyclocross geometry and you have a ride that’s ready for gravel-road exploration, all-weather commuting, and the occasional ‘cross race. Wherever the cyclist pedals the Raleigh Roper, the Shimano 105 drivetrain with FSA easy-spinning cranks give you the gearing you need to scale steep grades and power along the flats in a cyclocross race. Finishing out the build are wide Kenda tires, semi-aero Weinmann rims, and powerful Hayes disc brakes that pull it all to a stop. Other details that Raleigh brings to your imagination include fender, water bottle, and rack mounts. 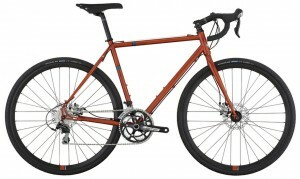 Singlespeed style meets the versatility of gears on the Raleigh cyclocross Tripper. This urban machine has an internally geared, low-maintenance 3-speed Shimano Nexus drivetrain. Add in the Shimano disc brakes, wide Schwalbe tires, and the smooth-riding chromoly frame and fork, and the Raleigh cyclocross Tripper may be the realest ride downtown. It’s not just a city dweller though, there’s a bit of cyclocross race bike genetics in here: a press-fit bottom bracket and semi-aero rims are useful touches that Raleigh put in for your commutes. And the Raleigh seat, post, and stem are equally suited to the task. Cross bike? Commuter? Gravel road explorer? The Raleigh cyclocross Furley is whatever you want it to be. Wherever you pedal, you’ll love the smooth ride of the chromoly frame and fork that sing over rough pavement and dirt paths. 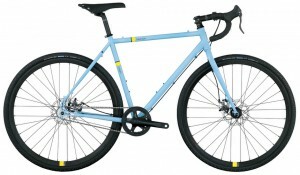 Raleigh made it possible to set up as a singlespeed with an ingenious eccentric bottom bracket, you can also run the Raleigh cyclocross Furley with gears thanks to the rear derailleur hanger and vertical dropouts. For the build, you get Kenda tires, semi-aero Weinmann rims, Shimano cranks and mechanical disc brakes that pull it all to a stop. Other details that Raleigh brings include fender, water bottle, and rack mounts. 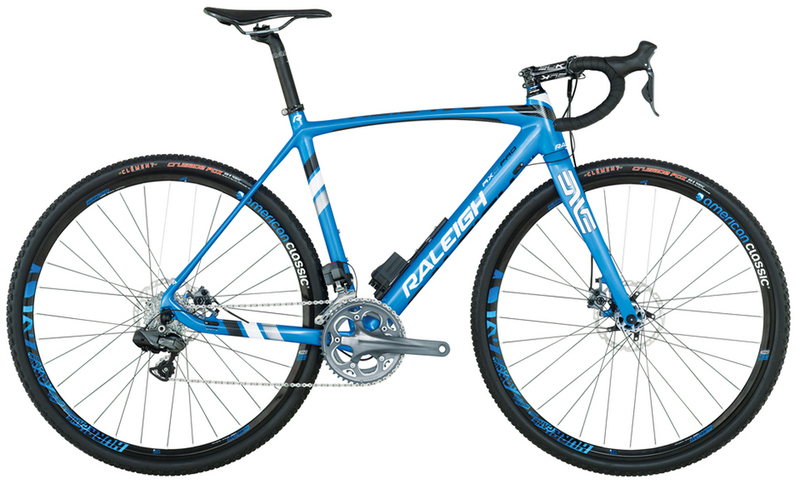 Raleigh Bike Dealer was created by Global Bikes Bike Shop who is the #1 Raleigh Bike Dealer in Arizona. This Raleigh specific website is filled with information on all things Raleigh.